Point Pelee National Park is located in Essex County near Leamington, Ontario. It is the very first national park established in 1918 for conservation. The park consists of a peninsula of land extending into Lake Erie that is mainly comprised of marshlands and woodland habitats. Point Pelee forms the southernmost point of the mainland in Canada and is a part of a migration corridor across the lake. 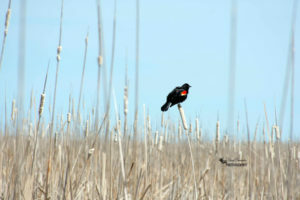 Visitors to Point Pelee National Park can enjoy many activities including walking the 12 kilometres of hiking trails, bird watching, canoeing and kayaking, strolling along the sandy beaches or taking the shuttle to the tip area from the visitor centre. 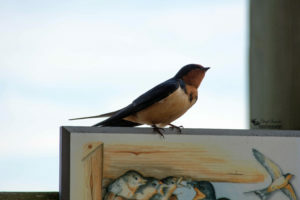 Every spring bird watching enthusiasts flock to the park to enjoy the migration of many northerly breeding species. During my first trip to the park I happened to visit during the spring migration and 2018 Festival of Birds. 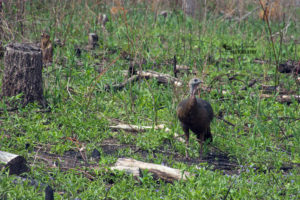 Once I reached the park gates and paid my entrance fee I chose to start my visit at the marsh boardwalk trail. 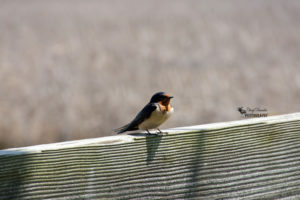 I parked my car, got out my camera and headed towards the observation tower on the edge of the marsh where I could see there were barn swallows flying about. 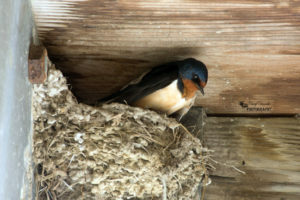 I began to climb the stairs when a swallow landed right in front of me on a sign that displayed adult swallows feeding baby swallows. After I took some photos and enjoyed the view from the top of the tower I made my way to the boardwalk to enter the marsh area. 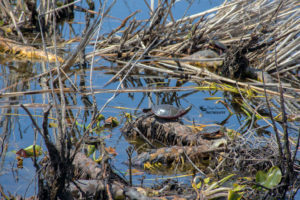 When I got to the halfway point on the boardwalk I came across some painted turtles sunning themselves in amongst the marsh grasses. 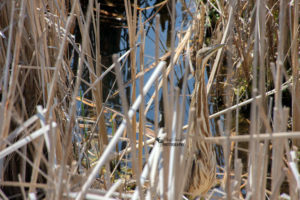 There were also many other species of ducks off in the distance as well as different birds in amongst the marsh grasses. As I followed the boardwalk around I reached a point where there was a small viewing platform. I noticed a few people looking at something in the water down below so I made my way over to where they were standing to see what it was. 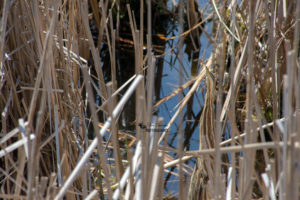 At first I didn’t see anything but as I looked harder I noticed a bird almost completely camouflaged by the marsh grass. 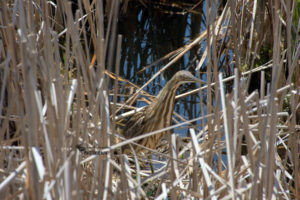 Since the bird festival had just begun there were plenty of bird watchers and they identified it as an American Bittern. I jumped back into my car and left the marsh boardwalk trail parking lot and headed to the visitor centre towards the tip area. After I had found a parking spot I decided to explore around the visitor centre before heading out on another trail. 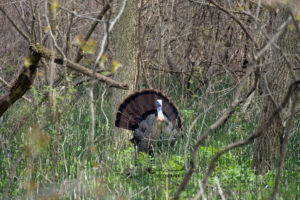 It wasn’t long after I had made it down a small pathway before I spotted a wild turkey and as I continued further into a small wooded area I noticed a small black and white bird pecking away at a branch of a tree. 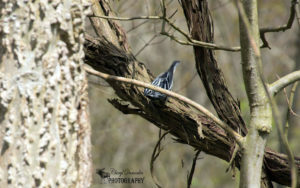 A quick search on google confirmed that the bird is called a black and white warbler. 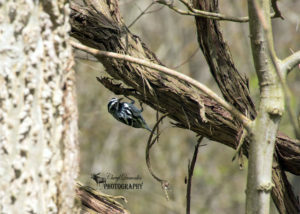 It was very fascinating to see how well it was able to balance itself while searching for food underneath the bark. Once I had finished looking around the visitor centre I began my next hike on the Woodland Nature Trail. 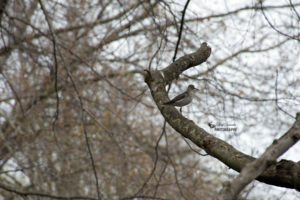 I wandered through the dense forest and eventually entered another marsh area where I encountered a Sandpiper. 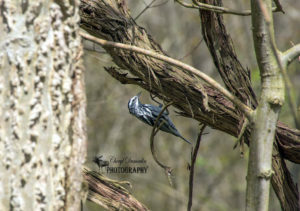 I must have startled it out of the water but I was able to take a quick picture of it sitting on a tree branch before it flew off. 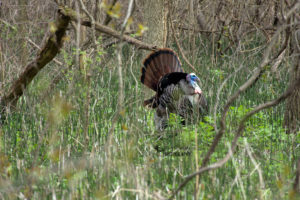 As I got closer to the end of the trail I passed by an opening in the trees where I spotted a tom turkey strutting his stuff. He must have noticed me watching him because he began moving in my direction letting me take his photo. 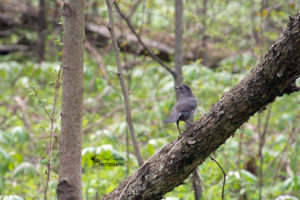 After leaving the tom turkey to wander back into the forest I came across a gray catbird which was the last bird that I saw on my visit. I had such an incredible experience during my first visit to Point Pelee National Park. There is no question that I will return to this park many more times in the future. 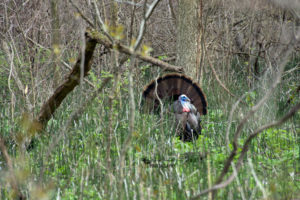 It truly is a special part of Southern Ontario and is an amazing haven for all kinds of wildlife. 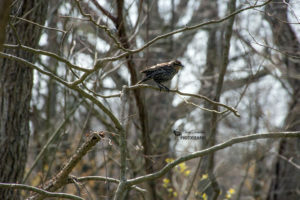 Below are the photos I was privileged to take at Point Pelee National Park. Please feel free to comment, like and share. This entry was posted in Hiking Trails, National Park, Nature Photography, Wildlife Photography and tagged birds, Camera, Canada, hike, hiking, National Park, nature, nature photography, Nikon, Nikon D7200, ontario, outdoors, outside, Parks Canada, Photo, Photography, Point Pelee National Park, trail, trails, wildlife, wildlife photography.